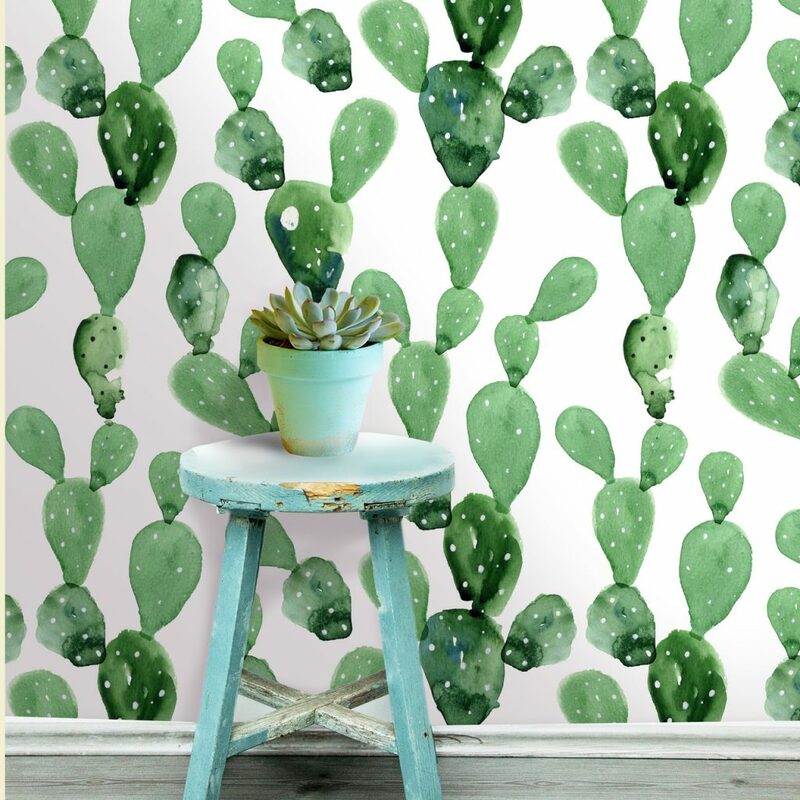 Wall to Wall Style: How to do wallpaper well. How to choose it, where to hang it, alternative ways of using it and why you should definitely not be scared of it! 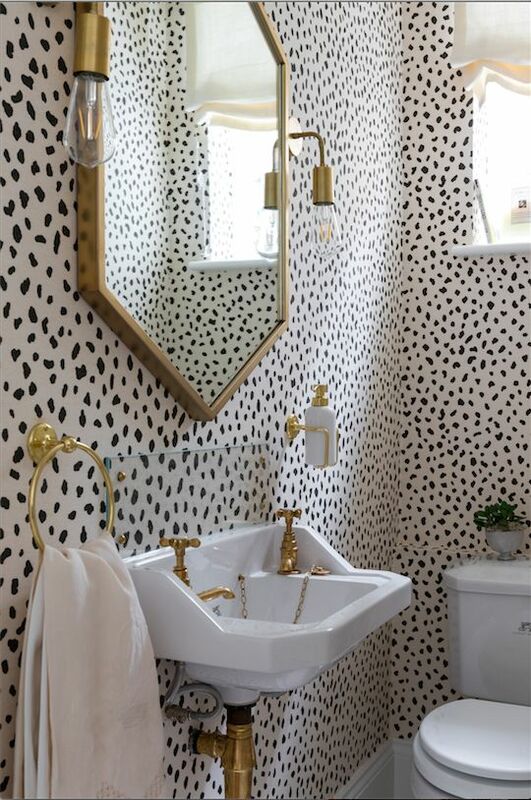 Wallpaper is like marmite, you are generally in one camp or the other with those against primarily put off by cost and commitment – historically wallpaper has always been a more expensive option than paint, and once it’s up, it’s not going anywhere easily. 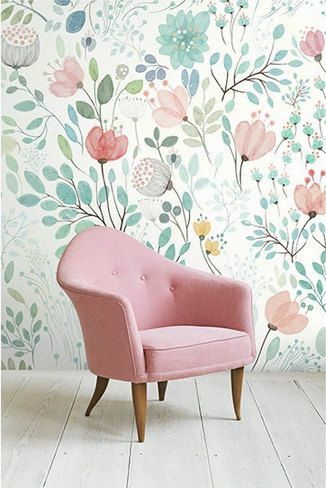 But with the ever increasing popularity of visual design apps such as Pinterest and Houzz, and the invention of ‘peel and stick’ alternatives, we are being exposed to a myriad of possibilities when it comes to decorating our homes with wallpaper, and the tide is firmly turning towards a vote of confidence. 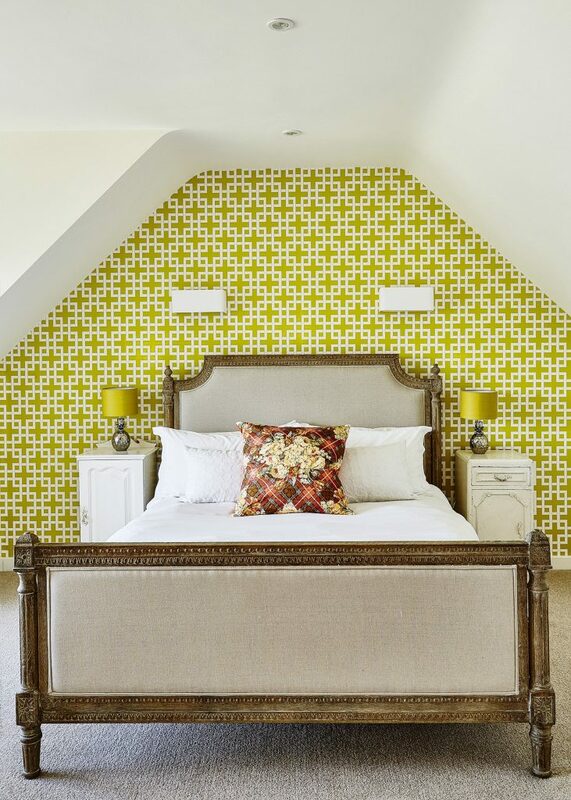 In practical terms, properly hung wallpaper will last three times as long as paint, it adheres easily and smoothly to walls, hiding many surface imperfections and can instantly add warmth, depth and stye to a room. But if you’re new to the game then where exactly should you start? Choosing the right wallpaper for your space is a truly daunting prospect in the flooded market of today. Think about the story you want to tell. 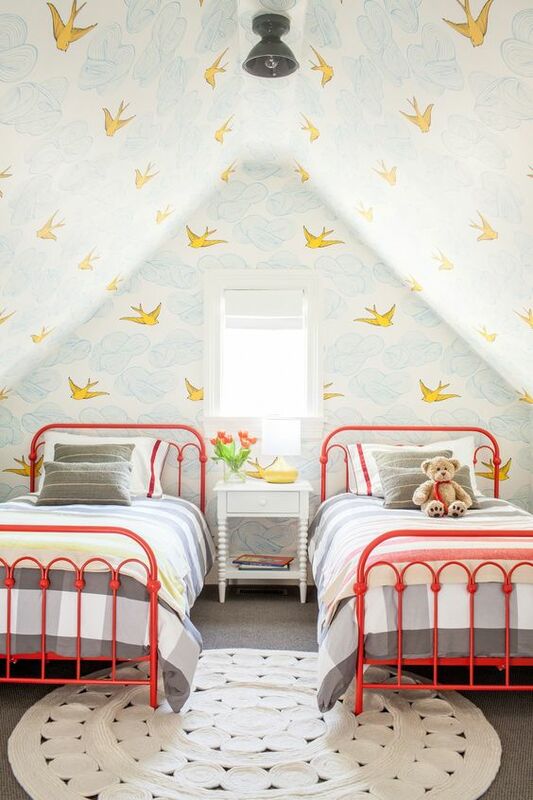 Kids rooms lend themselves well to whimsical animal prints and bold spots and stripes which won’t date as the child grows. 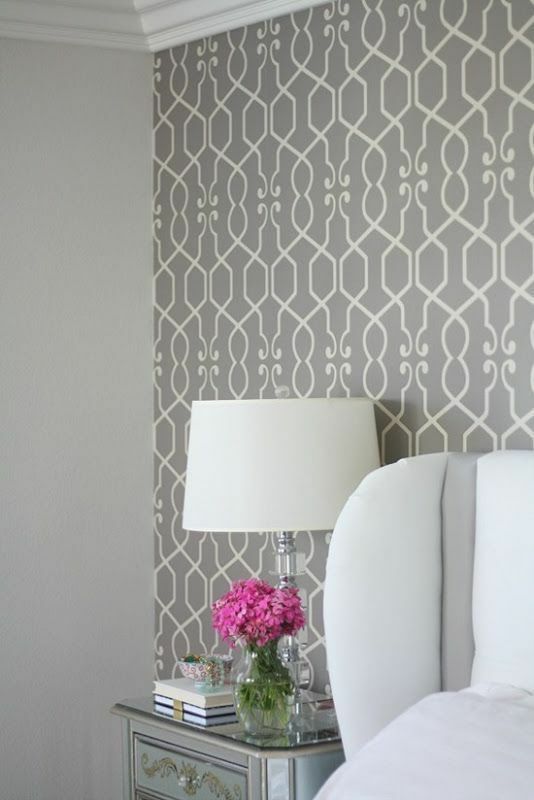 Geometrics are best suited to smarter formal rooms, whereas florals tend to create a softer more relaxed feel. Be led by the colours and patterns in your existing furniture and accessories. If you have a lot of pattern already then a wallpaper with a strong print will more than likely clash, so opt for something subtle instead. You need to let one or the other be the star of the space. 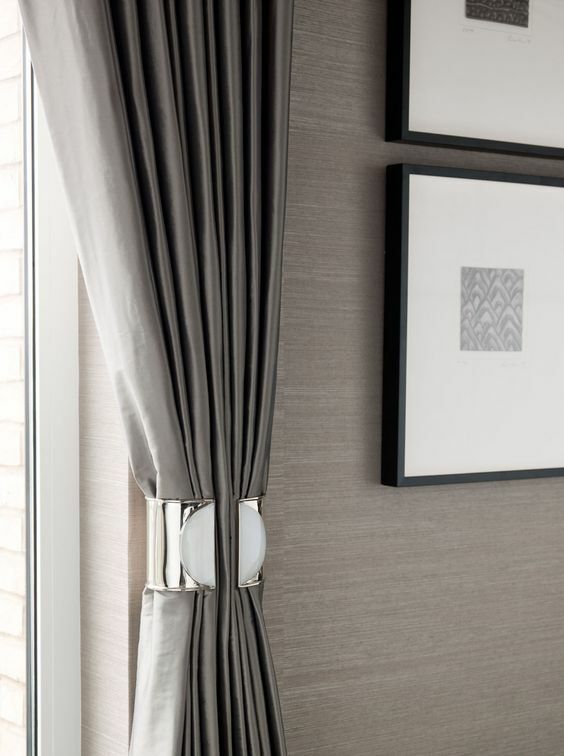 If you are reluctant to go bold straight away, a subtly textured wallpaper in a neutral tone will give any space a much more polished and sophisticated feel, illustrating your attention to detail whilst quietly celebrating elegant design. The ceiling is still one of the most ignored regions of modern-day decor. Sophisticated interiors of days gone by have always included highly decorated ceilings with plaster, gilding and painted frescos, but since the 1920s this fourth dimension has been largely ignored. 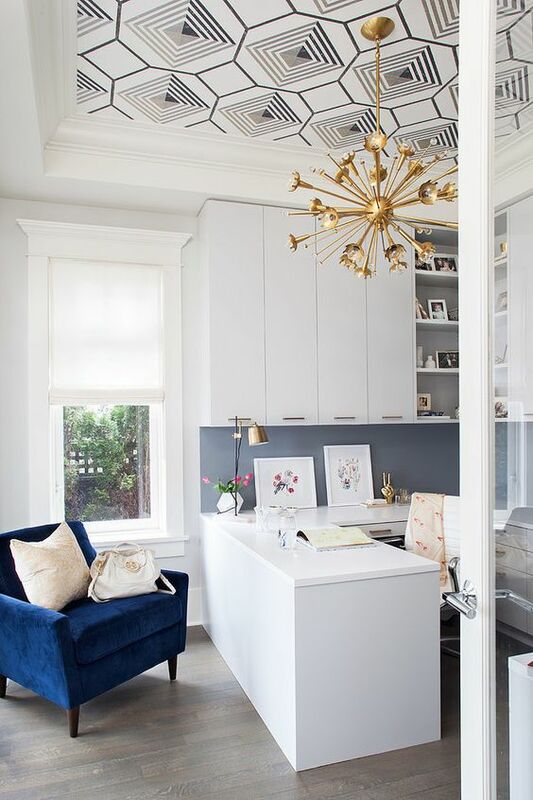 Wallpaper has made it possible to introduce pattern onto the ceiling relatively easily, with results ranging from the truly subtle to the fabulously dramatic. If you are lucky enough to own a period property with existing wall mouldings, then try introducing wallpaper within these ‘frames’. Alternatively create your own large scale wall art by ‘framing’ a section of wallpaper using elaborate mouldings or simple painted strips of mdf. The concept of a ‘feature wall’ is the perfect solution if you don’t want to commit to papering an entire room or cost is an issue. Focus on the chimney breast, or the recesses either side, the wall behind the bed or sofa, or opposite walls in the same room. This introduction of pattern will draw the focus of the eye and help to unify a room’s colour scheme, taking it firmly to the next design level. If you’re still undecided as to whether to take the plunge, then the new wave of ‘peel and stick’ wallpapers might just convince you. This self-self-adhesive, removable paper can be used on all kinds of surfaces, is resistant to sun fading and can be washed with household cleaners. What’s not to love?! 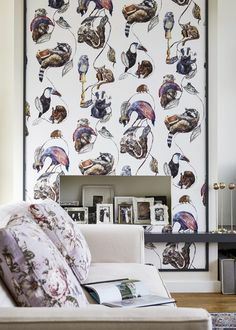 Always view a wallpaper sample in the room it will be hung in before committing. The level of light at different times of day and night will have an impact on the overall effect, so live with it for a day or two before taking the plunge. When hanging wallpaper, work away from window so that the paper edges will not cast a shadow if they overlap slightly. Hanging wallpaper in bathrooms can be problematic if they are not well ventilated, as the moisture and humidity can cause the adhesive to weaken over time. Opt for ‘splashproof’ or vinyl papers which are wipeable. To clean stains off non-vinyl wallpaper use wallpaper dough. Take a handful of dough, roll into a ball and gently roll the ball across the wall covering to lift the dirt. When the dough gets dirty, knead the dirt into the centre to expose the fresh surface. To keep flocked or textured wallpaper clean, hoover it! Use a soft brush attachment to get rid of any surface dust or cobwebs. Start at the top of the wall and work your way down. A microfibre cloth wrapped on the end of broom will work on flat, non-textured wall coverings. Some wallpapers, especially woven ones, tend to expand when wet and shrink when dry. This can leave small gaps between sheets of wallpaper. By using lining paper, you are actually helping with the drying process which in turns holds the wallpaper in its expanded shape for a better finish.